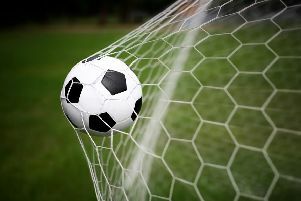 Bosham advanced in the Sussex Intermediate Cup without kicking a ball after opponents Bexhill United under-21s were unable to raise a side. The Robins past three home fixtures have all been ‘lost’ in the same circumstances, in what has to be one of the most unfortunate runs in local football. On October 31, Hurstpierpoint conceded their scheduled visit to Walton Lane in the Division 2 Cup before the game with Ifield suffering the same fate on November 14 - the latter being called off just 90 minutes before kick-off. Add in two away postponements of the Bexhill cup fixture - resulting in the tie being switched to Bosham - all contributing to over a month without a game for Andy Probee’s side, before last weekend’s 2-1 defeat at Ferring. Bosham travel to play Brighton, Worthing & District Premier Division side Worthing Leisure in the fourth round of the Intermediate Cup on Saturday (1.30pm, going in search of a quarter-final spot. Worthing Leisure made the last eight in 2014-15, losing out to Three Bridges under-21s, who had beaten Bosham en route. It’s then back to league action for the Robins with a visit to Cowfold on 19th (2pm), followed by a festive home game with Clymping on Monday, December 28 (11am). * Danny Mullen’s improving reserves picked up their first west-division point away from home this season, with a great team performance at Clymping. Sam James notched his fourth goal of the campaign in their 1-1 draw.